By filing a one-page form, some producers can have their oil wells reclassified as gas wells and potentially reap huge tax savings. More such requests are being granted, and the Texas budget might start feeling the pain. A major slowdown in oil drilling may not be the only phenomenon cutting into state revenue in coming years. Efforts by producers to have some of their oil wells reclassified as natural gas wells may cost the state hundreds of millions of dollars in tax collections and refunds — and renew scrutiny of Texas’ largest tax incentive for natural gas drilling. The Texas Railroad Commission, the state’s drilling regulator, reclassified nearly 850 oil wells as natural gas wells during the 2015 budget year. That’s more than triple the number from the previous year and nearly six times the reclassifications in 2013. The trend means more operators can claim a generous tax credit for natural gas wells, and the growth in reclassifications is drawing the interest of state Comptroller Glenn Hegar and other budget watchers. “If such reclassifications were expanded, it could adversely affect revenues as a result of refunds and reduced natural gas tax collections,” Hegar wrote this month in his certified revenue estimate. Operators commonly free up oil and gas from the same well. But Texas law defines wells as either oil or gas — not both. It’s up to the Railroad Commission to sort out where each one falls. The commission’s initial decision, however, isn’t etched in stone. Operators can fill out a one-page request that a well be reclassified, based on how much gas is coming out of the ground. In 2013, the commission reclassified 145 wells from oil to gas. The number ballooned to 844 in the 2015 fiscal year, according to Railroad Commission data. Gas-to-oil switches also surged during that period, but on a much smaller scale —from 68 to 239. The bureaucratic reshuffling might sound unimportant, but it matters plenty for state coffers and helps determine who qualifies for a tax credit covering “high-cost natural gas drilling” that has drawn scrutiny in recent years. 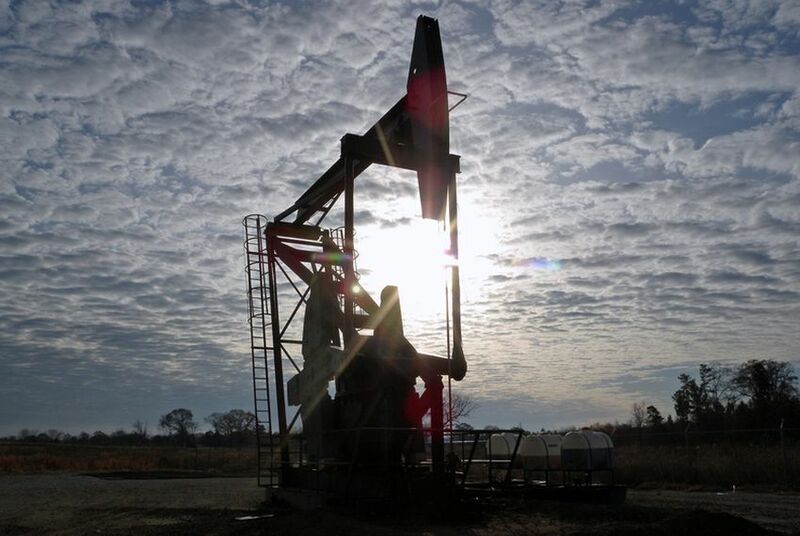 Reclassified gas wells may be eligible for tax credits going back several years. Hegar, who has not taken a position on the incentive, is not sure how much the reclassification trend will eat into state revenue, his office told The Texas Tribune. His rough estimate suggests eligible wells in just the Eagle Ford Shale — home to most of the switches — could cost up to $250 million during the 2016-2017 budget cycle and more than $200 million over the following two years. The trend could rekindle a debate over an incentive that, according to a report last year from former Comptroller Susan Combs, shaved more than $8 billion off operators’ tax bills from 2008 through 2014. Critics call the policy a giveaway that has outlived its original intent. Some say the reclassification trend underscores their argument that the tax break is no longer needed to spur more gas drilling. The incentive, which applies to wells completed after 1996, originally cut taxes on just five percent of gas produced in Texas. By 2014, the tax code treated nearly half of Texas gas as “high cost.” That’s largely because of advances in hydraulic fracturing, an expensive technique that has boosted production and spurred the state’s drilling boom. Some lawmakers have called for reform. In 2013, the state Legislative Budget Board recommended overhauling the exemption, which, with other incentives, has “reduced many producers’ tax liabilities to zero,” it said. Lawmakers ultimately left the incentive alone that session, and the issue hasn’t bubbled up since. Amid tumbling oil prices, industry advocates argue that now would be a terrible time to rid Texas of any drilling incentives. LeBas shrugged off the reclassification figures as a simple correction. Operators drilled some wells in spots originally thought to be richer in oil, he said, but additional geological study and production data later proved otherwise. LeBas added that availability of the high cost gas credit can factor into companies’ decisions to drill any well — oil or gas. “Given the amount of unknown — is it going to be oil, is it going to be gas, probably some mix of both — if you end up with a gas well, at least you might not have to pay as much tax on it,” he said. Disclosure: The Center for Public Policy Priorities is a corporate sponsor of The Texas Tribune. A complete list of Tribune donors and sponsors can be viewed here.